Head to the Ruins Northeast of Bounty Hunter in Level 26 Wilderness. Second she needs to eat. Go back to the human world. In the center of the village there is a log, pick the mushrooms off this log and they will appear in your inventory. The mushrooms heal 10 Life Points each. Then head back to the spirit world. Third the girl needs new clothes. In the human world you will find a hammer, two planks, and a steel bar around the village. Smith the steel bar into steel nails on the anvil south of the Flower Patch. Head to the wardrobe in the human world and use the Nails or Planks on the wardrobe to repair it, therefore breaking it in the spirit realm. Note: If you see any players around, it might be a good idea to give them some nails! 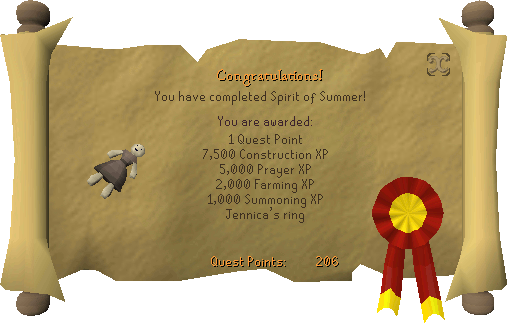 Jennica's Ring 7,500 Construction Experience 5,000 Prayer Experience, but if you go into the spirit world in the graveyard north of the village, you will get 10k Prayer Experience 2,000 Farming Experience, but if you go into the spirit world ruined village after the quest, you get 10k Farming Experience 1,000 Summoning Experience Ability to chop Cursed Magic Tree logs. The logs will turn into normal magic tree logs in the human world and they give the same amount of Experience. When the Cursed Magic Tree is cut down, a real magic tree will appear in the human world. You need 82 Woodcutting to chop down the Cursed Magic Tree, and each log gives 275 experience. Access to the Decayed Altar. 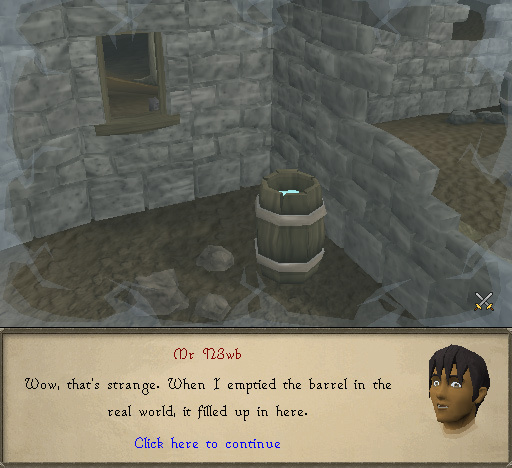 It is north of the farm in level 33 Wilderness. 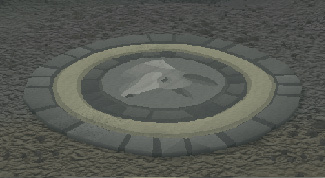 It has an altar, fire pits, soft earth, and graves of the quest NPCs. It is currently unknown what these things do. 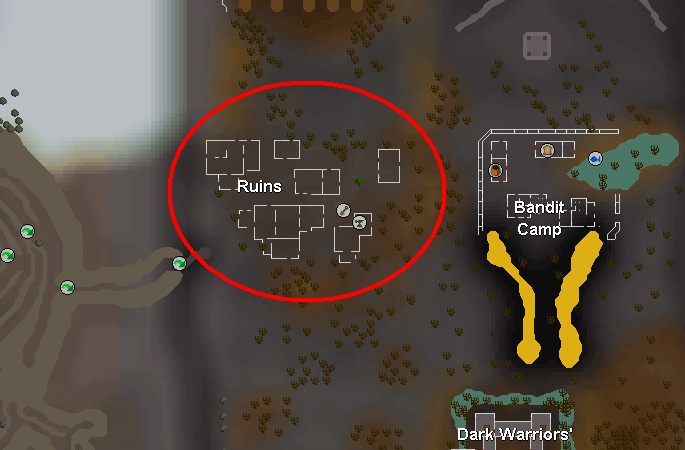 [^] Head to the Ruins northeast of Bounty Hunter. 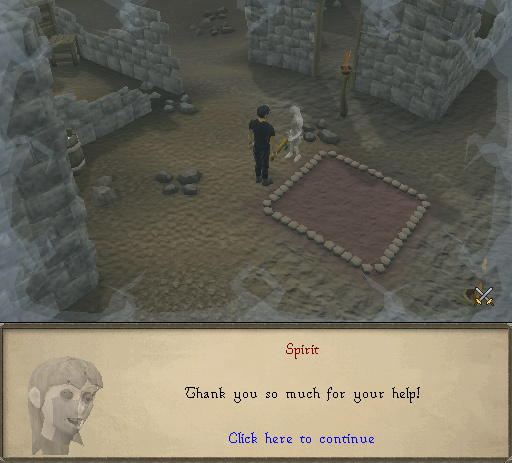 [^] Walk through the Spirit Girl and enter the portal just north of Quest start point. 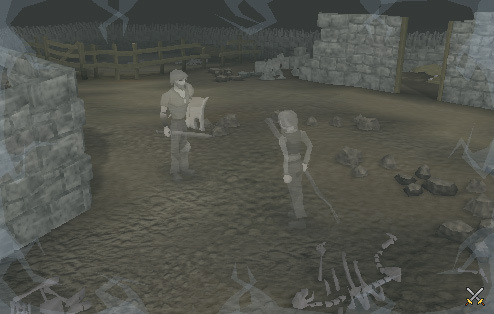 [^] Converse with the old man, and after the talking finishes repeat the exact emotes he used during the cutscene. [^] After all the rings disappear from the girl, wearing your ghostspeak amulet talk to her. [^] Exit the spirit world through the way you came in and travel west until you reach a ruined village. [^] In the North Eastern most building take a rake, a dibber and search the crates for a limpwurt seed. [^] De-weed the patch and plant the limpwurt seed. [^] In the building just west of the patch, take the bucket and empty the barrel full of water. [^] To the north west of the village by a statue, pick the log clean of mushrooms. [^] In the building south of your patch, take the available hammer. [^] Go to the building west of your patch and take 4 steel nails. [^] North of your patch, take 2 planks from the building. [^] In the building west of your patch, use the nails and planks on the broken wardrobe. [^] Wait for the Limpwurt Plant to fully grow, but don't harvest it. [^] Talk to the girl and she will take you into the spirit world, then watch her pick up her doll, eat, drink and search the wardrobe. [^] Let her take her you back to the previous farm. [^] Head back to the spirit world and enter the basement of the building to the East and place all the bones and skull on the altar. [^] Find the disks and summon the corresponding familiar. 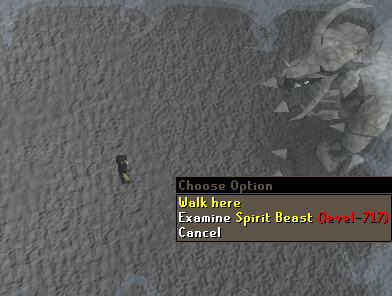 [^] Dismiss your familiar once the Dark beast walks onto the disk. [^] Repeat for all 3 disks.